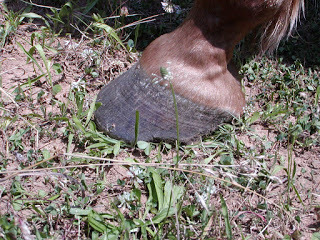 Iron is a hot topic these days in certain circles, especially in the horse community. Image © 2013 Albion Laboratories, Inc. All rights reserved. Albion, Creatine MagnaPower and Ferrochel are trademarks of Albion Laboratories, Inc.
Iron is an important ingredient in human prenatals as well as daily vitamins. Iron is a major mineral listed in the analysis on any supplement label for dogs, cats, goats, horses, other animals and humans. In order to talk about supplementing animals (or people) with iron, let’s first understand what iron is. Iron is a metal element, important for many functions in the body. Iron can exist in several forms. Iron compounds are iron bonded to other elements, such as iron oxide. Iron can also bond to protein, making iron proteinate. Finally, iron can form a chelate with amino acids. A true amino acid chelate is defined by low molecular weight, one bond ionic and one covalent, and the electrical charge neutralized. An amino acid chelate has a particle size smaller than 900 daltons. You can learn more about the science of chelation at http://www.albionnutritionalfacts.com/index.php/knowledge-base/about-knowledge-base/33-knowledge-base/about-chelated-minerals/59-vitamins-minerals-chelates-what-s-the-difference? Also, research the work of H. DeWayne Ashmead, founder of Albion and a leading researcher into mineral chelation. So, having established some of the basics, let’s circle back to how iron gets into a body. First the animal eats or drinks something containing iron. If the animal ate elemental iron Fe, which is very reactive and unlikely to exist without being bonded, then the elemental iron will either react with ingredients in the gut, preventing absorption, or would be absorbed . If the animal ate amino acid chelated iron, the iron is not highly reactive and does not have to be split apart. The iron can be easily absorbed. *Now remember, elemental iron Fe is very reactive. 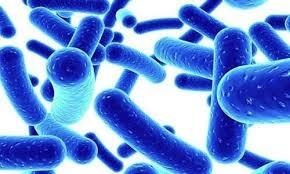 It is just as likely to react with ingredients in the gut as it is to absorb. 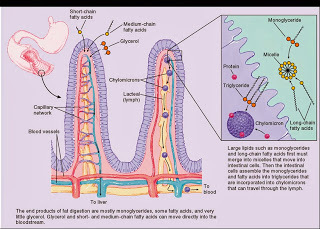 The only iron stable enough to resist reacting with other items in the gut and be absorbed is amino acid chelated iron. 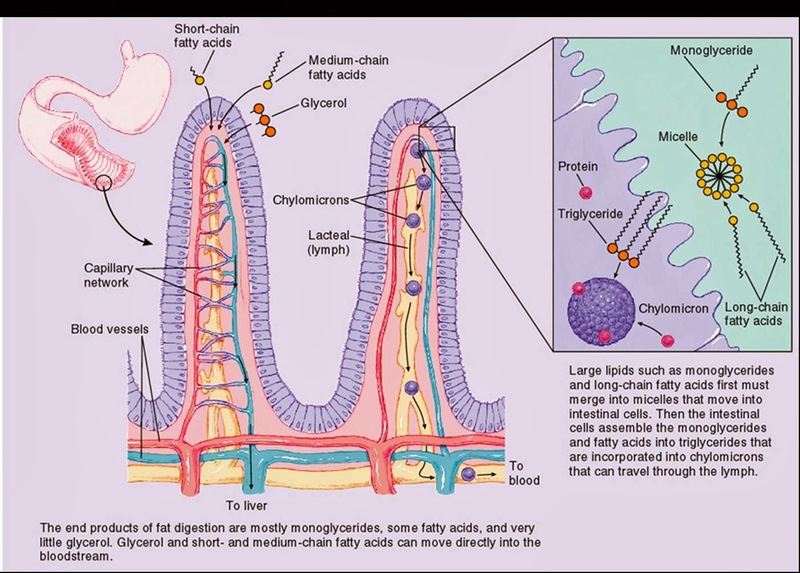 Absorption takes place place through the mucosa that lines the intestine, into the blood stream. The blood carries the minerals and nutrients to the liver. The body manages iron levels in several ways. Iron is stored in the blood, bone marrow, liver and spleen. If the body has more iron than is needed, the extra iron is excreted and passes out of the body in the feces, urine, bile, sweat and other body fluids. The liver also bonds the elemental iron to proteins. Iron MUST be bonded to a protein by the liver to be used by the body after it is absorbed from the digestive tract. Here is a published study on iron metabolism in the liver, for the science-minded folks. You can also do an internet search on iron excretion pathways to find the latest studies on iron excretion in mammals. Remember, elemental iron that isn’t bonded is very reactive. Iron that isn’t bonded to a protein floats free in the bloodstream, and because it has a positive charge and is reactive, it causes oxidative stress (think internal rust) or it looks for something to bond with and then deposits in unintended locations. Excess iron deposits also show up in hair analysis. Bonding elemental iron to protein takes energy, the correct supply of amino acids, and depends on the reactive elemental making it to the liver without reacting with something it meets along the way. Not all elemental iron will make it to the liver to be bonded to protein. All iron that makes it into the gut and is absorbed will either be absorbed as an amino acid chelate, highly stable and ready to use, or will be absorbed as a very reactive elemental iron Fe molecule. So the form of the iron ingested determines whether or not the iron can be absorbed and how easily it is absorbed. The health of the liver then determines whether the absorbed iron is used for health, or creates toxic issues in the body. In nature, animals eat iron in a variety of compounds and chelates and generally do just fine. So why do domestic animals get into trouble with iron toxicity? 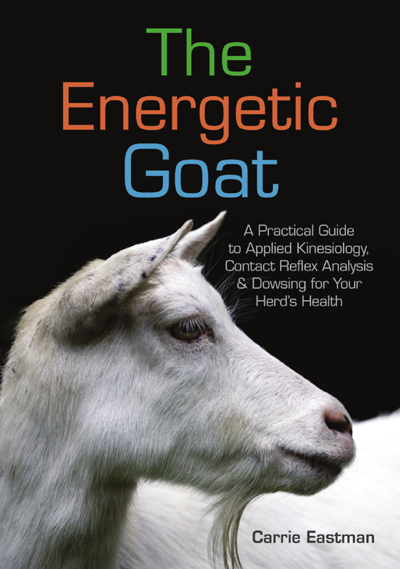 My experience has been that domestic animals are often fed large quantities of iron in non-usable forms in feeds and supplements, without also having access to naturally-chelated (by plants or soil organisms and found in fresh browse/graze) or commercially-chelated minerals to catalyze the excretion of any excess. The form of iron is critical. Iron oxides are very hard to absorb and use. Iron sulfates are more absorbable. Iron proteinate is even more absorbable. Iron amino acid chelate is the most absorbable. Amino acid chelated iron also catalyzes the uptake of the more unabsorbable forms. Amino acid chelated iron is the only form of iron that does not have to be broken apart in the gut into elemental iron Fe. All the facts about the percent absorption of each form and about chelates can be found at www.albionminerals.com and also be looking up the published peer-reviewed research of H. DeWayne Ashmead. Other minerals can inhibit or enable (antogony or synergy) iron uptake. What you feed the iron with is just as important as the iron itself, and this includes your water, pasture, hay and grain. Calcium, magnesium and zinc inhibit iron uptake. Iron is a copper inhibitor. If you live in an area of high iron soil, you are more likely to need additional copper. Iron also blocks potassium, phosphorus, manganese, potassium and zinc. Vitamin C enhances iron uptake. All minerals are connected. 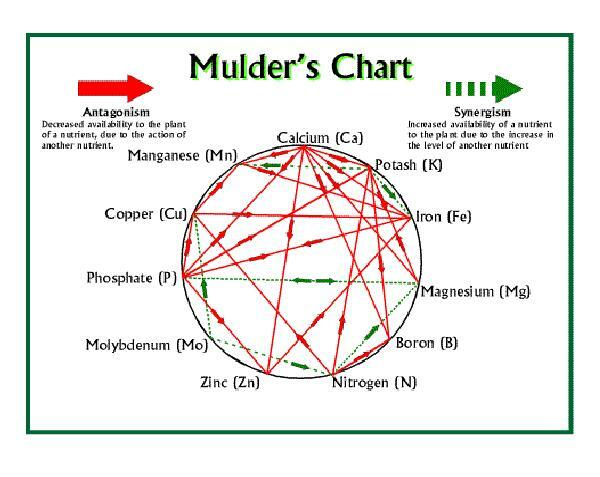 Refer to Mulder’s Chart in the Sense of Humus blog for a graphic representation of how complex the relationships are. Altering the amounts of one mineral will affect all the others in a cascading effect. 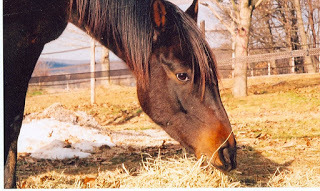 Better to use easily excretable forms and a free choice buffet, so that the animals can balance themselves and get rid of any excess they cannot use. Iron withholding is one of the body’s defenses against bacterial infections. The liver produces hepcidin, which inhibits iron release from the cells. Inflammation in the body reduces iron uptake because of the iron withholding mechanism. Inflammation also causes the release of hepcidin. The entire eastern US has very high iron soils. High iron in well water is also common. Here is some information about working with high-iron water. The research should consider the form the iron is in, as some forms are more likely to accumulate. 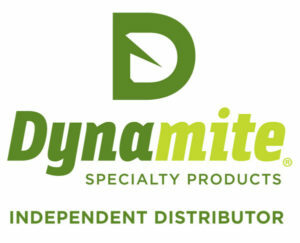 I specifically use the Dynamite product line because the minerals are amino acid chelated, and because Dynamite is a family owned and operated business with great ethics and a moneyback guarantee on their products.